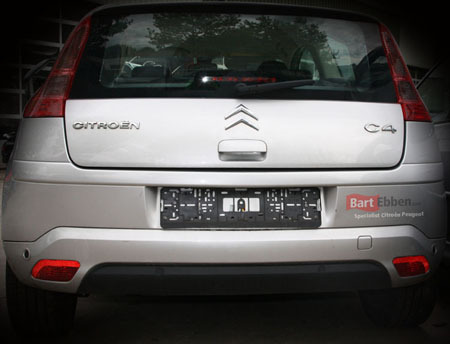 Looking for a reliable and professional partner for used car parts Citroën C4? 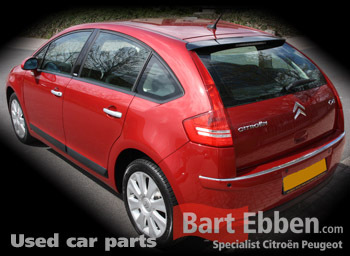 Bart Ebben is the partner you need, with a wide range of used car parts for the latest models like the Citroen C4 available. Second hand C4 spare parts come with a minimum warranty of 3 months, apart from electrical components. All our second hand spare parts are stocked in a modern warehouse. Alltogether there's a very wide range of used car parts. You can find engines, gearboxes, clutch sets, electrical parts like airbags, throttle bodies, relais, ECU engine management computers, heater fans, information displays, steering pumps etc. And also body parts like doors, bonnets, bumpers or mirrors and interior parts like seats, seat belts, a dashboard or heating control panels as well. Check our online stock yourself or find an overview of used car parts Citroen C4 here in our parts catalogue. Finding all common Citroën C4 used spare parts is possible from behind your desk, but sending us a part request is the easiest way. Send in the form and recieve all information by email quickly. In case you would rather order by phone just dial 003124 348 80 11, our salesmen are ready to help you out. 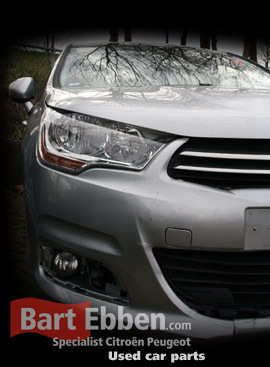 We ship Citroen C4 used car parts worldwide. After sending us a part request our salesteam will help you to order exactly the right used car parts as easy as possible. Our parts are packed carefully and are shipped experienced shipping companies only. Ensuring that the C4 parts will properly make the trip to your location and within reasonable time. Contact our salesmen for specific shipping details. Citroen C4 gearbox 20ds65/ zie.